The name “American Dreamer” feels redundant, in a way; from birth, so many Americans are instilled with the values of liberty and justice for all, taught that our country was built upon the dreams of the few who inspired the many. We learn the power of dreams through exemplars like Dr. Martin Luther King Jr., whose “I Have a Dream” speech is as relevant today as it was fifty-three years ago. Atwood Magazine is proud to be premiering the music video for “All the Time,” from American Dreamer’s independently-released 2016 debut album Restless Nights. Led by Oberlin-trained Sasha Klare-Ayvazian, the Texas-based quintet cultivates a sense of warmth and wonder with their incredible blend of folk, orchestral, and popular stylings. 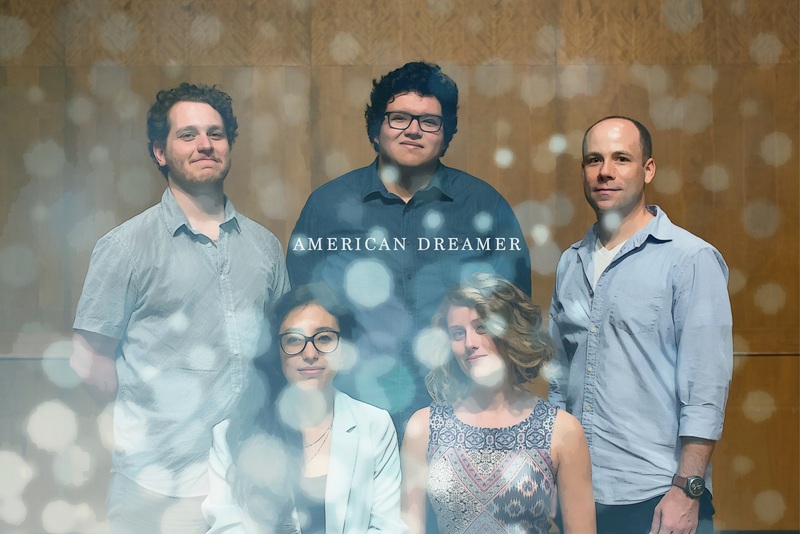 While their chamber music takes from influences well past their bicentennial, American Dreamer’s lyrical content is topical and timely, politically driven and socially conscious. “All the Time” is much more than the innocent love song it pretends to be on the surface, and we learn that best through experiencing its rich, heartwarming music video. 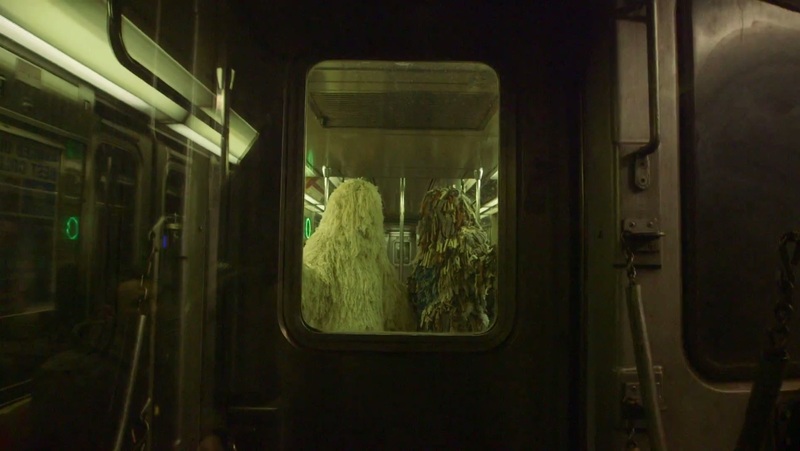 Directed by Nina Alexander, Dillon Lundeen Goldschlag, and Colin Healey, “All the Time” revolves around the experiences of what this writer can only describe as a humanoid Snuffleupagus – a living being that seems and acts human, but instead of skin, eyes, nose, etc, is made up of string or yarn. Our protagonist is personification at its finest: We see this fictional being as a representation of ourselves, but it is removed enough such that we do not impose our usual unconscious biases and prejudices that come with a human actor – i.e., we see neither color nor gender. We just see a person – a lonely person, at that. As lush strings fill the sonic space and Klare-Ayvazian’s humble voice radiates, our main character – let’s name it Fluffy, shall we? – is alone in a room, finding ways to have fun and occupy time. 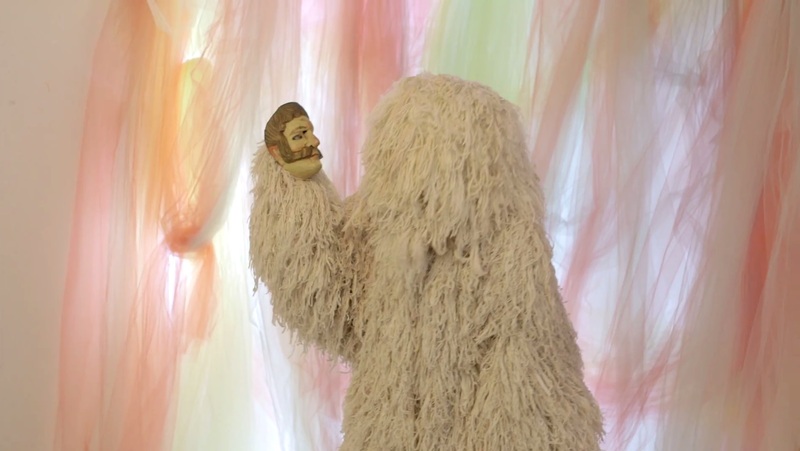 We see some toying around with a puppet mask, and goofing off in a pile of bouncy balls. 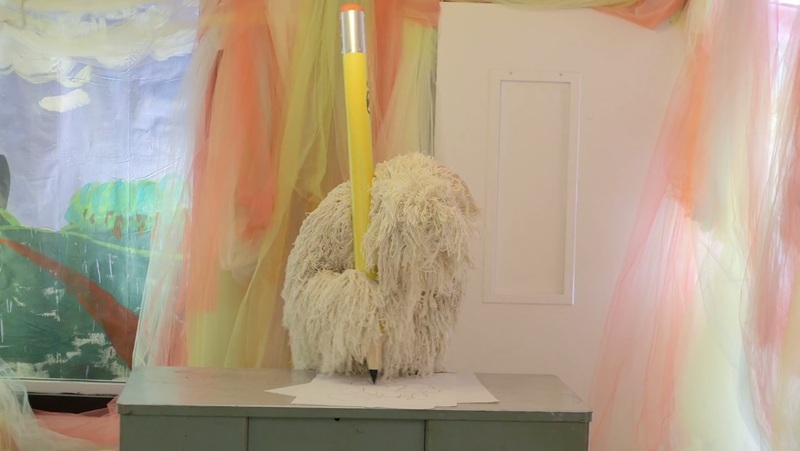 Once Fluffy gets ahold of a giant Number 2 pencil, the loneliness of that life becomes abundantly clear. 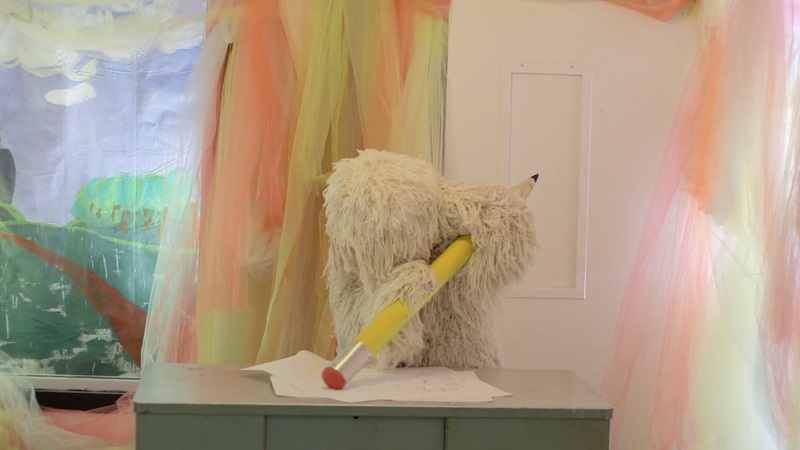 At first, Fluffy draws a self-portrait, only to furiously erase the image. 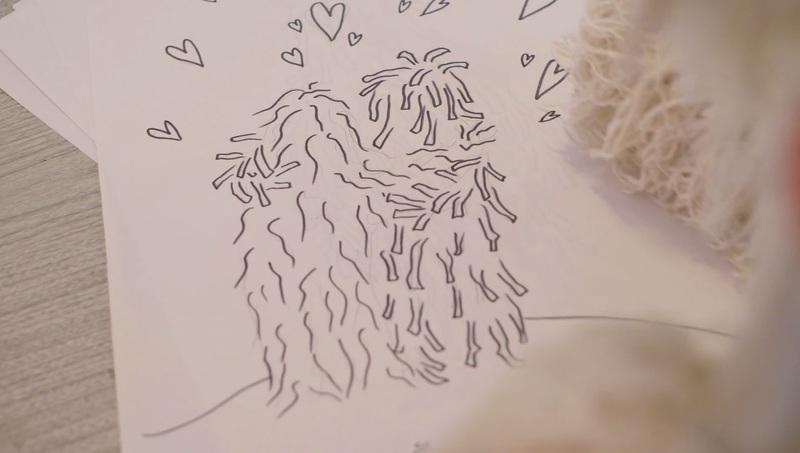 The solo picture is replaced by a series of duets; Fluffy draws a friend! Together they go to the moon, enjoy an air-balloon ride, visit a farm, go boxing, perform magic tricks, battle a dragon, take a gondola ride, escape from danger, fall in love, and have a little squiggly-lined baby. Fluffy’s dreams are easily relatable; who doesn’t want a partner with whom to explore the world and enjoy all that life has to offer? 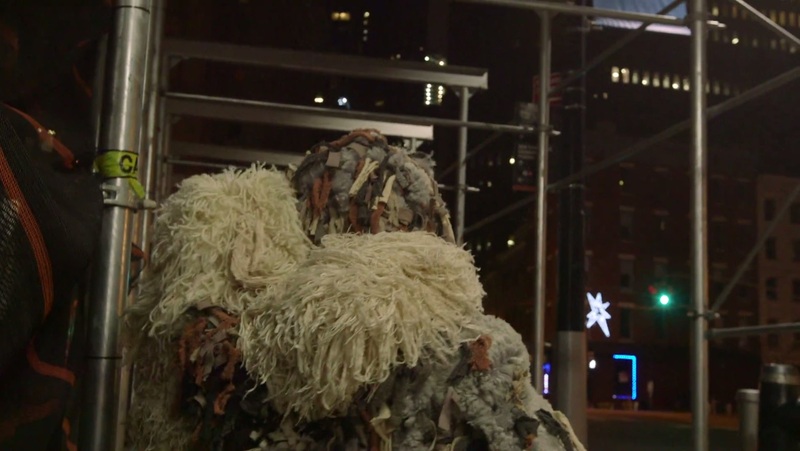 Fluffy gives us a moment of solemn reflection: We see someone who is unable to live their life the way they want to. Sadness turns to despair as Fluffy realizes that dreams are only dreams, and though you can hang a piece of art on the wall, that doesn’t make it come to life! 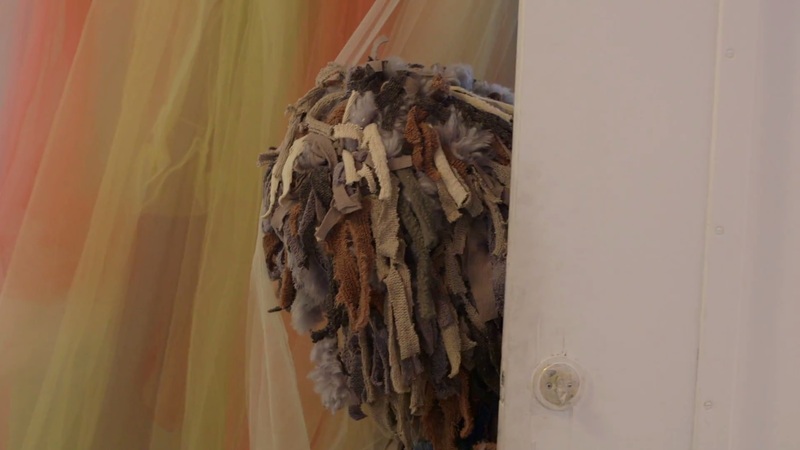 In through the door walks Fluffy’s imagined partner, another mop-top character of slightly darker, but no less scraggly presentation. Rejoice fills the room as our protagonist realizes what is happening, and hand in hand they walk out of that entrapment and into the world beyond! Here, we see a world where the individual is allowed to express oneself the way one pleases. Fluffy does more than find a friend; Fluffy is allowed to live the life Fluffy wants to live. Imagine if everyone were allowed that privilege: To exist how they wanted to exist, to love who they wanted to love. To many, that world is still a dream. Hopefully, it’s an American dream. “Calling the record Restless Nights is a reference to our band name,” reflects Klare-Ayvazian. “The American Dream doesn’t seem to be doing so well at this time, so we wanted to offer a form of respite and spent a lot of time exploring the space we wanted to create.” American Dreamer are fully aware of the implications and expectations their name projects, and they deliver toward those ends with magnificent grace. Why shouldn’t everyone be allowed to live with such unrestrained love – such endless wonder, excitement and passion? Do not dismiss the disenfranchisement of others simply because you do not share their loss; when one piece of your country suffers, the entire nation suffers. The entire world suffers. American Dreamer know this fact all too well; this writer knows this fact all too well. Take a page out of American Dreamer’s book, which is a page out of MLK and Abraham Lincoln’s book, and look at your fellow humans with unbiased eyes. 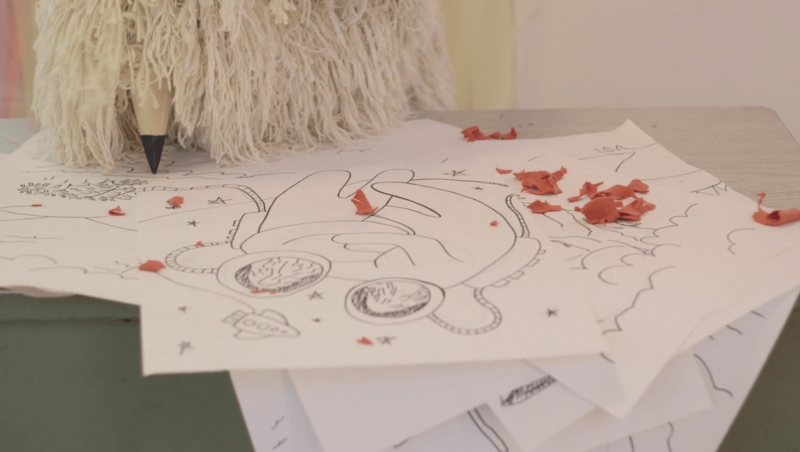 See them for what they are – for they are much more real than Fluffy, and unlike Fluffy, their drawings will not magically put an end to the challenges they face. 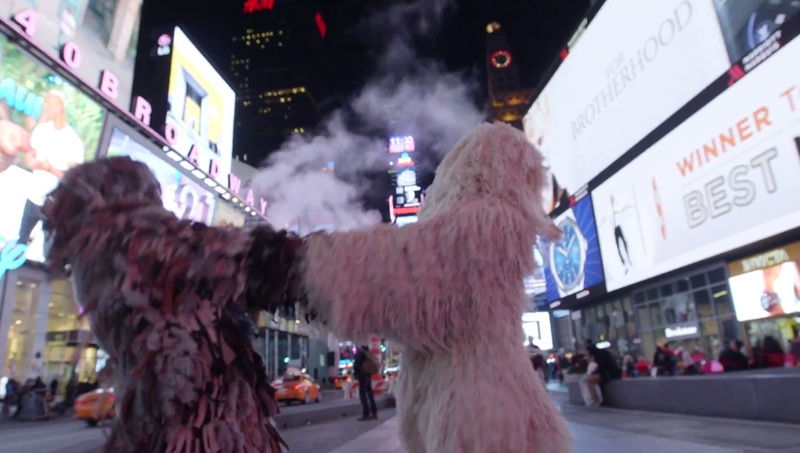 In one magical video, American Dreamer captured the American Dream.